Championship Trading Focus: 29th-30th March 2019 - Exchange Trading, Sports Tips And Crypto. Trading and Betting News - It's Not A Chance To Win - It's A Way To Win! Serving Our Readers Since 2007. West Brom are unbeaten in three and Birmingham have lost their last four. The two have only one recent meeting at this level, a 1-1 draw earlier in the season. West Brom need to win to continue their push for promotion but at 1.80 they make no appeal so both teams to score at 1.83 seems better value. Aston Villa look like a team on a mission and the break cam at a bad time for them as they have won their last four and are unbeaten in five. Blackburn have lost four of their last six and seven of their last nine. Aston Villa to win -1 on the handicap at 2.60. Hull have lost their last five away and Ipswich have not won in eleven so who can break the sequence? Ipswich have at least found a little form with draws in six of their last seven games, all 1-1. Hull have at least won on their last four visits to Ipswich and this is a tough game to get an angle on. Probably the safest option is both teams to score at 1.85. Leeds continue their push for an automatic promotion place and need to bounce back from their defeat to Sheff Utd, but they have won three of their last four. They have also won four of the last five head to head in Leeds and with Millwall losing four of their last five, this looks a banker home win. Try trading 2-0 and 2-1 on the correct scores looking for a green book. Preston have not lost in twelve and won their last six away from home. Reading have won three and drawn two of their last six at home so this could be entertaining. There has been no draw in eight recent head to head, so the suggestion is to trade the Lay the draw. Sheffield have not lost in ten and have won their last eight games at home. They have not conceded in their last seven at home, so we have an interesting match-up, as Bristol City have scored in their last eight away. Four of the last five head to head were Over 2.5 goals but try both teams to score at 1.91. Boro have lost their last three and Norwich won their last six so there is no doubt who is the form team and at 2.50 they must be considered as they score goals. In seven recent head to head, six were Under 2.5 goals but that is a dangerous play with this Norwich side. An away win to inflict more misery on Middlesbrough. Wigan have been up and down and finally won a game following four draws and three losses when they beat Bolton. Brentford have lost their last two but had previously won four of the previous seven. Wigan have been strong at home, winning three and drawing three of their last six. At 3.20 Wigan can be considered as a back to Lay but both teams to score at 1.61 is probably better value. Note: Odds are subject to change. Place 5 bets of £10 or more and get a £20 FREE bet – you can do this 5 times!! The 2020 JuiceStorm Automated Crypto And FX Trading Seminar Is On Saturday 1st February 2020. Don’t fancy waiting that long? The Digitex University is now open and visiting a city near you – vote for your country today. Learn to trade crypto and other markets – both manual and automated. 80% of private investors trade the wrong way and that is why they lose money trading. Worse still, they spend thousands with “teachers” – mostly charlatans who have been sacked, failed in finance or are just internet marketers. If anyone wants to learn to trade, then speak to someone who is legally responsible for managing other people’s money. And has been doing it, profitably, for a very long time. Watch all trading live 24/7/365 – it has a return of over 3% monthly. Andy is a member of the Horserace Writers’ Association, and also works closely with the three time former champion jockey Richard Dunwoody, while has also appeared as one of the featured tipsters in the 2011, 2012 and 2013 Weatherby’s Official Cheltenham Festival Guide. Andy has a monthly article in the popular Racing Ahead magazine and helps run the unique Trainers Quotes site, so has an array of top stable contacts at his disposal too. Top Day - March 14, 2019 @ 17:27 - 554 online. There are 132 Guests online and 27 Members Logged In currently reading JuiceStorm.com. Welcome everyone. Join TradeChat for a chance EVERY month to win a year's subscription to TradeSelect - worth £600! Join Tony in our 1 hour weekly webinar on how to make a profit using BetTrader every day. A Betfair veteran of 10 years and Tony still trades every day. Need help buying or selling Digitex? We’ll sort you out in our weekly CryptoHelp webinar. Hundreds of our readers have already made huge profits! Please log in or Join TradeChat – It’s Free! 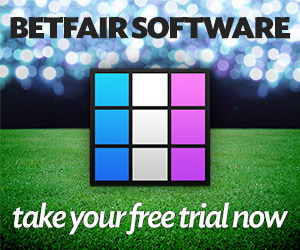 A growing community of traders and gamblers winning most days with the Betfair Tipster. There’s a live stream of John’s test trading platform for the 2019 seminar showing just how our members make a profit most days. BetTrader from RacingTraders.co.uk was the 1st Betfair trading application and after 15 years more traders still join every day! Find out why with no credit card needed. Are you an expert in trading, gambling or sports? SMS John on +44 (0) 7500 075044 to join TeamJuice.